Located inside the Environment Survival Training (JEST) Camp, the Kawayan Kitchen offers local food cooked in Kawayan (bamboo). 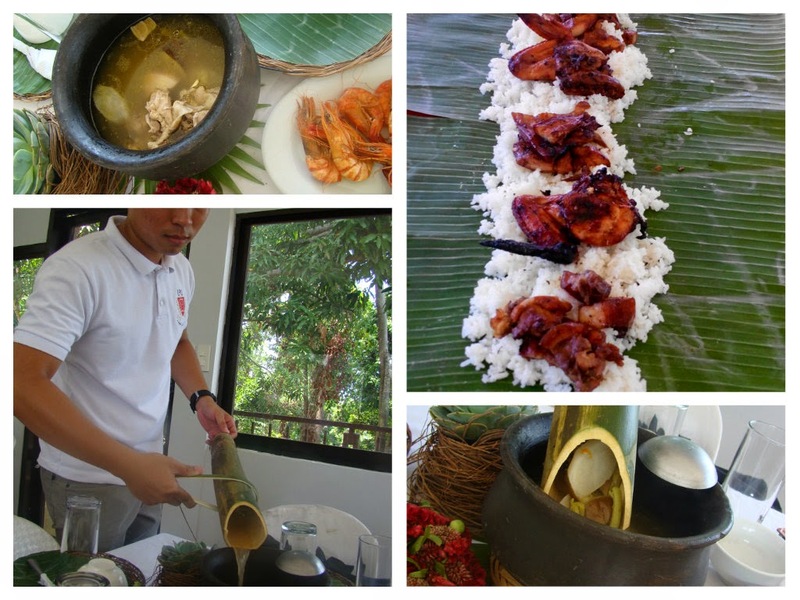 Media and bloggers were treated to this unique dining experience during the Grand Launch of the Wings of the World “The Half-a-Thousand Birds Show at the Magaul Bird Park inside Jest Camp Subic last week. Local people often go hunting and farming in these forests. Since it is inconvenient for them to cook when they go out, they have figured using green bamboo will solve their problem. The bamboo is usually abundant in the Zambales tropical rain forest and so using green bamboo in cooking methods becomes more practical for people who live in mountainous regions. During the meal break, we got to taste rice cooked in Bamboo Tubes. Kawayan Kitchen replicates the way our Aeta brothers prepare the rice. It was truly a delicious experience! Aside from the Rice Cooked in Bamboo Tubes, we had Sinampalukang Manok (P 180.00). Chicken meat are placed into fresh bamboo joints with enough water, sealed with banana leaves and cooked to perfection! It makes a perfect viand for the Bamboo Rice! Kawayan Kitchen dishes cooked in a bamboo stalk are good for 2-3 persons per order. Dining experience is even made memorable by the set of dish served from the Kawayan Kitchen. 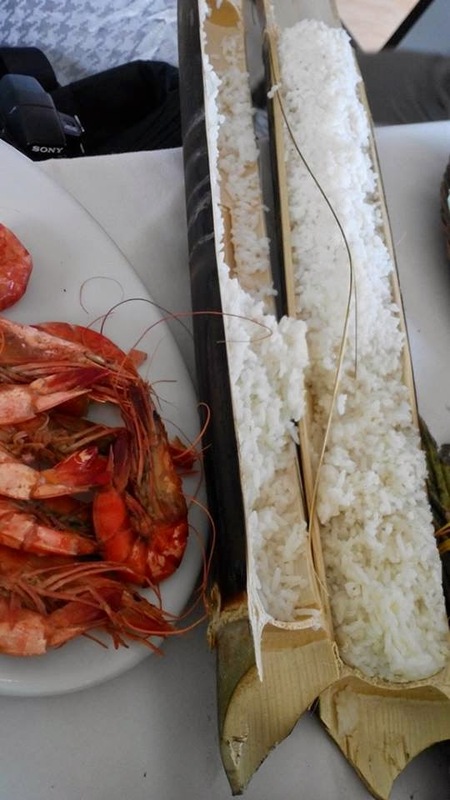 They serve meat and seafood entrées cooked and served in a bamboo to complement your bamboo rice (P 120.00). 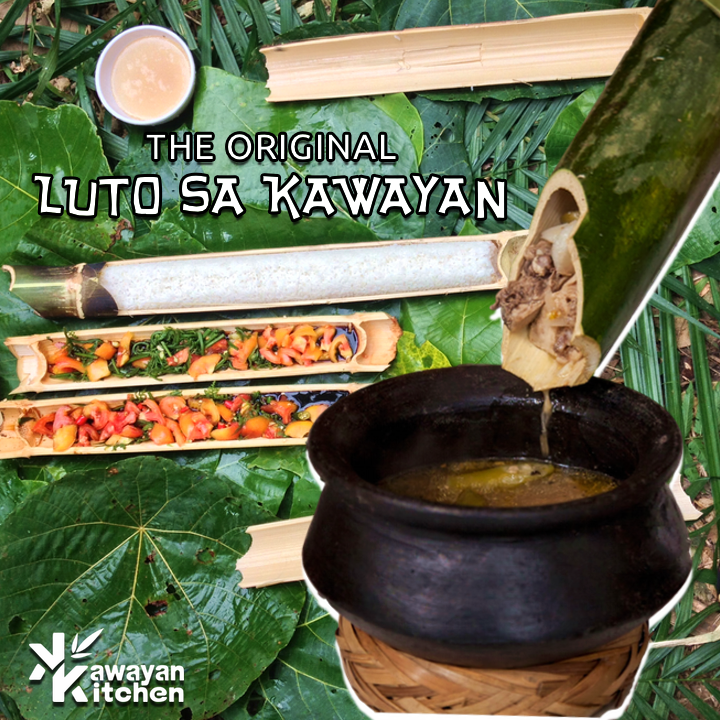 Kawayan Kitchen provides a delicious taste of natural cooking in bamboo through "Luto sa Kawayan" way. Try it out soon. I am amazed how they cook, how the presentation of food and all that. Thumbs up! I'm always curious of using this bamboo for cooking, I want to learn that for survival skill. I hope though that they have projects to maintain the number of bamboos in their community. This is an excellent way to present food with the use of bamboos. Their food looks tasty too. I missed eating like this Sis. 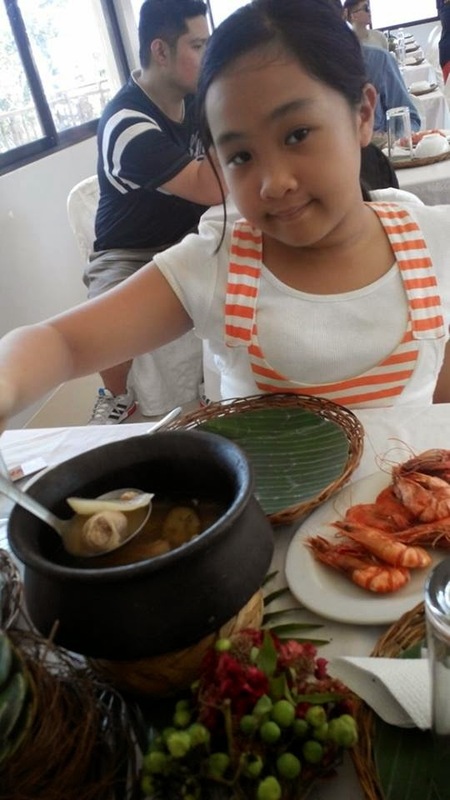 I missed the Filipino food so badly and how we eat our food. It looks like the family had a blast dining. You make me drool like crazy Sis with all the food you shared. Wow, this amazed me much. I wonder when I could try this kind of food cooked inside the bamboo. Thanks for sharing.